For those who dream of experiencing a real-life winter wonderland, look no further than Lapland. Encompassing the largest and northernmost region of Finland, this legendary province borders Sweden, Norway, and Russia, and has been inhabited by the semi-nomadic, reindeer-herding Sámi people since prehistoric times. Here, the pristine Arctic landscape is known for its snow-capped conifers, crystal clear skies, and outdoor activities — including snowmobiling, Nordic skiing, dog sledding, and reindeer-drawn sleigh rides. Lapland is also one of the best places in the world to take in the otherworldly Northern Lights, which swirl across expansive skies as many as 200 nights a year. During our 7-day journey through Finnish Lapland, we encounter vast snow-covered plains, towering old-growth forests, and frozen lakes. We try our hand at regional modes of transportation — including kicksleds and snowshoes — sample local cuisine, and take a deep dive into the history, folk stories, and lifestyles of the resilient people who call this region home. Our evening excursions are designed around possible views of the incandescent, Northern Lights overhead, often accented by hot drinks around crackling campfires. When it’s time to rest, we retreat to cozy, woodland hotels and cabins, where we drift off to sleep after a full day of adventures in mythical Lapland. Exploring the Lapland wilderness by snowmobile, dog sled, Nordic ski, and kicksled. Cruising aboard the famous Icebreaker Sampo, with an optional float in an Arctic survival suit along the way. Learning about the native Sámi people at Siida, the National Museum of the Finnish Sámi. 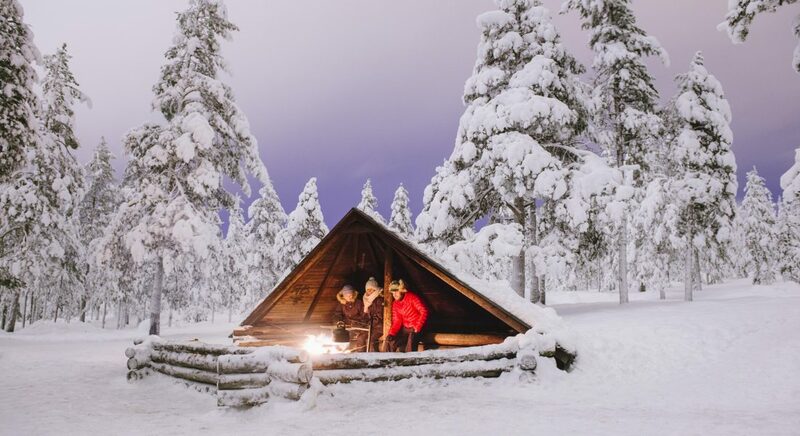 Enjoying traditional Finnish dishes, cozy accommodations, and crackling campfires. Welcome to Lapland! Upon arrival at Kittilä Airport in northern Finland, you transfer about 30 minutes to the Hotel Taivaanvalkeat in the nearby town of Köngäs. 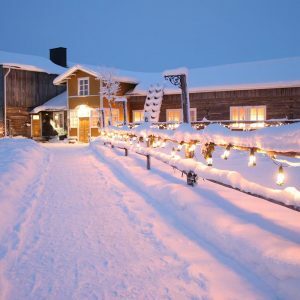 Known as the "Elf Hideaway," this cozy, rustic lodge is located on the River Ounasjoki, near the famed Levi ski resort, and is our home away from home for the next two evenings. Tonight, we enjoy a welcome dinner of regional specialties as we prepare for an exciting week together in the Arctic. 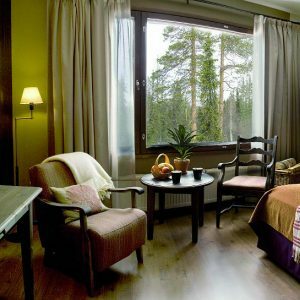 Housing thirteen stylish rooms decorated with traditional Finnish tapestries, this rustic lodge on the banks of the River Ounasjoki contains multiple saunas, and guest rooms overlooking the river and surrounding forest. This morning after breakfast at our hotel, we venture into Lapland's vast, snowy wilderness for a guided kicksled safari, enjoying the unique scenery and some local folk stories along the way. In use since the 19th century, the traditional kicksled, or 'spark', is a sled vehicle that riders propel by kicking the ground behind its flexible, metal runners. Kicksled racing has been popular in this region for centuries and was revived as a serious sport in Finland in the 1990s. At midday, we take a break to rest and warm up inside a cozy hut. We enjoy a traditional lunch of grilled sausages and warm drinks before venturing back outside, this time on snowshoes. With miles of pristine white snow and towering evergreen trees, the landscape here is unlike anywhere else on earth. For dinner this evening, we return to the roaring hearth inside our boutique lodge. Tonight, we hope to catch our first glimpse of the majestic Northern Lights during a reindeer-drawn sleigh ride through the surrounding forest. Today we make a 2.5-hour transfer north from Köngäs to the shores of Lake Inari. We visit Siida — the National Museum of the Finnish Sámi, who are this region's native, semi-nomadic people. 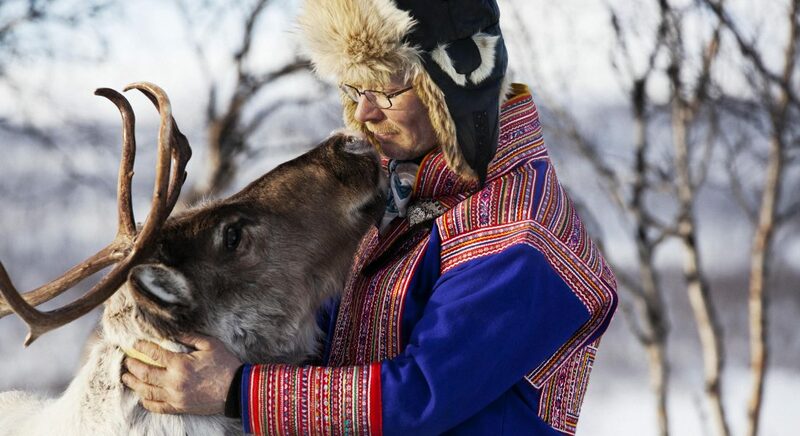 Since prehistoric times, the Sámi have lived and worked in the northern Arctic, fishing, trapping, and herding sheep and reindeer, the latter of which they use for transportation, fur, and meat. During our guided visit to the museum, we learn more about the indigenous peoples of the Arctic and the unique survival strategies that have allowed them to exist for centuries in this harsh landscape. After lunch at Siida, we continue to the Wilderness Hotel Muotka, in Saariselkä, an hour's drive away. Tonight, after dinner, we prepare for our excursion to the Aurora Camp. Dressed in thermal clothing and seated in a comfortable, snowmobile-pulled sledge, we keep an eye out for the Northern Lights on the way to the camp. Upon arrival, we are met by a blazing campfire, and enjoy hot drinks and lively stories before returning to our glass-roofed cabins for the evening, falling asleep under views of the vast Arctic sky. Enjoy expansive views of the Northern Lights from the comfort of your own bed at this cozy collection of glass-roofed, woodland cabins, which also contain private bathrooms and saunas. Cross-country or Nordic skiing is a national sport in Finland and a traditional mode of transportation throughout Lapland. Today, we experience our first taste of Nordic skiing with a session after breakfast at Muotka. This activity is appropriate for every ability — from beginners to seasoned pros, alike — and is a terrific form of exercise. Our instructor provides all necessary equipment and a pre-ski lesson for the group, as we enjoy sparkling, snow-capped scenery along the way. Later this morning, we have time for a quick shower before we depart our hotel and head to lunch at a local restaurant, Kaunispään Huippu. Serving regional dishes such as fish pies, reindeer soup, and Lappish cheese with cloudberries, the restaurant is located 1,434 feet above sea level and offers expansive views, including the peaks of Russia in the distance. From here, we continue to Luosto Village, a two-hour drive south, where our centrally-located hotel includes glass-walled Arctic viewing rooms and ceilings for taking in the aurora borealis. After dinner, we set out for a walk around Lake Ahvenlampi and its old-growth conifer forest, where we break for a special lesson in photographing the Northern Lights. 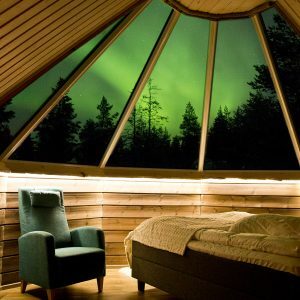 Centrally located in the village of Luosto, this 23-room property features a contemporary cottage feel, complete with glass-walled Arctic viewing rooms for observing the Northern Lights. Get ready! 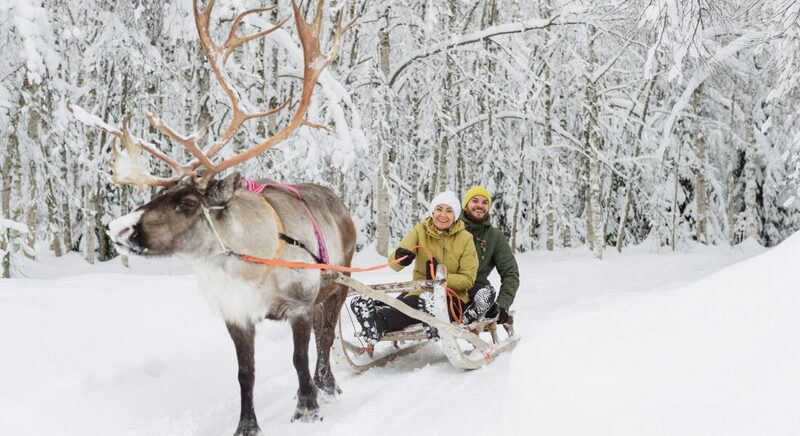 Today's agenda features a full lineup of exhilarating Lapland adventures. This morning, we mount up for a snowmobile ride to a nearby farm that raises huskies, where a chorus of friendly barks and howls greets us. Sled dogs have been used for generations in Lapland for transportation, hauling, and recreational sled racing. After getting acquainted with our team of huskies and a short training session, we set off for an exhilirating 2.5 mile dog sled ride through pristine snowfields. Once we are back at the farm, we warm our hands around a crackling campfire. Our final excursion today is a short snowshoe trek from our hotel, through the vast, nocturnal countryside. Along the way, we pause for hot drinks and possible Northern Lights viewing, before returning to our hotel for the evening. 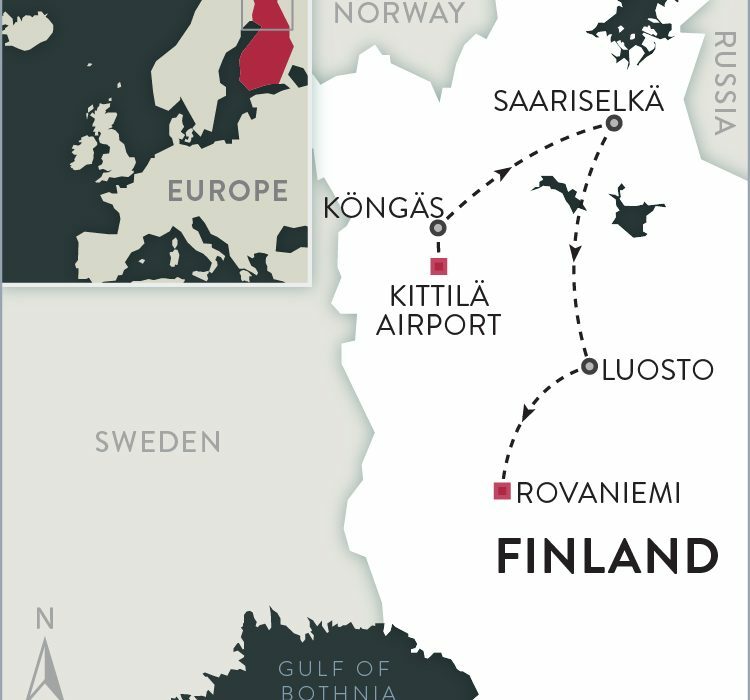 Our route today leads south toward Rovaniemi, the capital of Lapland, with a host of Arctic highlights along the way. We depart our hotel after breakfast and head to Kemi, a 3.5-hour drive away. Upon arrival, we receive a guided tour of the famous SnowCastle of Kemi, the largest snow fort in the world. First constructed in 1996, this unique "castle" features a restaurant, chapel, hotel, and 65-foot towers. Next, we proceed to the Kemi port and prepare to board another Finnish legend: the 3,500-ton, 1961 Icebreaker Sampo, which plowed through ice fields in the surrounding seas for more than 25 years. Retired in 1987, the ship is now a beloved tourist attraction, and today, we cruise from Port Kemi, experiencing the unique sound of our steel vessel crashing through the Bothnian Sea's colossal ice field with an ever-changing sky overhead. Along the way, we tour the Captain's bridge and engine rooms, breaking to fuel up with a hot meal in Icebreaker Sampo's elegant restaurant. Before returning to port, those who would like have the opportunity to put on survival suits and plunge into the sea for a guided float in the frozen water. This afternoon, we transfer to Rovaniemi for a farewell dinner at a local restaurant, where we raise a glass to our adventure in this formidable, frozen land. Located in the former 1950s-era city hall of Rovaniemi, this stylish hotel houses 57 well-appointed contemporary rooms as well as a restaurant, bar, and spa. This morning, depart at your leisure for the Rovaniemi Airport (15 minutes away by taxi) in time for your flight home. Boundless Journeys trips are designed for energetic and flexible individuals who like to be active and have a spirit of adventure and a positive attitude. 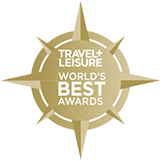 Lapland: Experience the Arctic is rated 2, easy to moderate, on a scale of 1-5 (with 5 being the most strenuous). The terrain we cover is incredibly varied. We enjoy some gentle walks, nordic skiing, snowshoeing, and snowmobiling. Please be aware that activities may be changed last-minute due to weather conditions, which are highly unpredictable in Lapland. The driver of a snowmobile must be at least 18 years old and in possession of a valid drivers license. On snowmobile safaris we drive with two people per snowmobile, following our guide in single line. It is prohibited to drive side by side, overtake other machines, or curve or speed up unnecessarily. When we are driving we communicate using hand signals, because it is difficult to hear over the sounds of the engines. On our dog sled safaris you are the actual musher (driver) of the team of sled dogs. Generally, there are two persons per dog sled; one person mushing and other traveling as a passenger inside the sled. Switching positions can be done during any of the breaks, but never while the sled is moving. The guide travels as the first sled, so as to set the pace and not let any teams pass. It is also common for the safari to be accompanied by a snowmobile. It is important to remember that dogs respond differently to trail conditions, weather, people and each other on a moment-to-moment basis. For professional mushers, this is part of the thrill of dog sledding, as no two runs are ever the same! Dog sledding is a team sport, and the musher is part of the team, encouraging the dogs, working with the sled (pushing with one foot or walking behind) when going up hills and steering and braking when coming down hills. By doing this, the dogs gain trust in your abilities, although some may still give you a backward glance with questioning eyes from time to time! While riding as the passenger your job is to enjoy the scenery, the dogs, and have fun! Before a dog sled ride, your qualified safari guide will always go through driving instructions and safety. The guide carries a first aid kit, as well as an emergency communication device in case of emergencies. The guide also has the authority to prohibit participants from riding if they act irresponsibly, or are otherwise seen unfit to handle a dog sled team. Reindeer safaris are similar to the dog sledding experience but much slower, and shorter in duration. All snowmobile, dog sled, and reindeer safaris are operated locally by independent and accredited operators. Before commencing these activities the local operator may ask you to sign an indemnity form, which in such case, will be a mandatory requirement in order to participate in the activity. 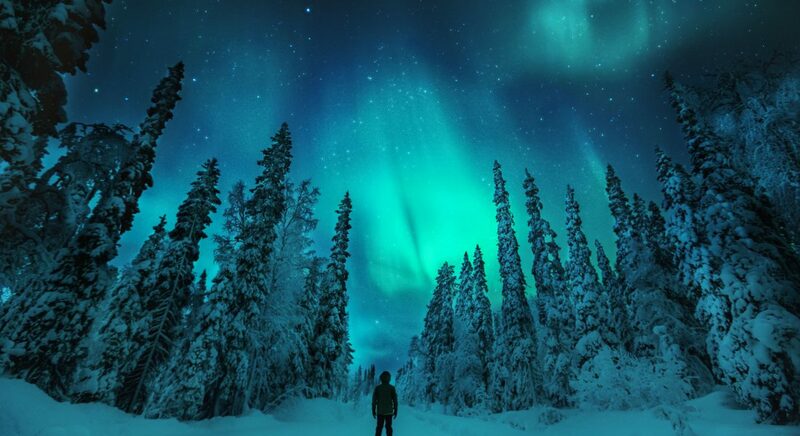 It is important to see the Northern Lights as just one of many thrills of a winter trip to Finland. With luck we will see the sky ablaze with dancing lights, but this can never be guaranteed. The Northern Lights are only visible when the sky is clear and free of clouds. And, like many natural wonders, they are ephemeral — appearing for a bit, and then disappearing. The unique colors of the Northern Lights are created by the Earth's spectra of gases and the height in the atmosphere where the collision of particles from the sun and the Earth's gases takes place. Our naked eye can most easily see the green-yellow part of the spectrum where the sun emits most of its light. Green is the most common color observed but the Northern Lights can also appear white-gray. Please be prepared to wait outside while looking for aurora. It is best to dress warmly, in layers, with good footwear, gloves, hats and whatever else will make you comfortable while you patiently await the possibility of a truly outstanding light show. Sitting in the Arctic Circle, Lapland's climate is characterized by long, cold winters and short, mild summers. However, the influence of the nearby Atlantic Ocean helps control temperatures, which means that the weather is never too extreme. March marks the end of winter in Lapland. While spring is on its way and the days are getting longer, the month still remains cold with plenty of snow. The average temperature in March is 20ºF with highs of 30ºF The coldest part of the day is at night, when temperatures can drop to 14ºF , so you are advised to dress in warm layers in the evening. Despite this, the crisp days of March can be quite enjoyable, with dry air and little wind. Lapland is well-known for its dark winters, but days are rapidly getting lighter in March. Lapland sees around 9-12 hours of daylight each day, with the sun rising between 6:30 a.m. and 7.30 a.m. and setting between 5.30 p.m. and 8:00 p.m., on average. Regardless of the weather, Laplanders head out and get active in the snow! The local saying in the area is, "There is no such thing as bad weather, there is only bad clothing." Traditional meals in Lapland are quite simple but tasty. Potatoes and other root vegetables have an important role with the cuisine. Before modern days, root vegetables were the only vegetables to be able to store over a long winter. During the winter months, dishes can be quite heavy, and include meat, stews, hearty soups, and creamy dishes, in addition to fresh seafood. Rye or whole grain bread is often served with everything. Breakfast is considered the most important meal of the day, and breakfast buffets at hotels are generally abundant. A typical Scandinavian lunch might consist of comfort food such as pea and ham soup, or meatballs with mashed potatoes. You wont find many dishes that have strong spices. Cooking is simple while still using the best ingredients to make it flavorful. Andrew is one of the most positive members of our team. Always smiling and bubbling with energy he drives us further to new horizons. Andrew is originally from Karelia (former Finnish territory), and has lived abroad in Germany and Scotland. After years of travel and exploration, Andrew decided to return to Finland. Roots call! One cold and fresh morning, while enjoying the cleanest and tastiest air in Europe, Andrew decided that he would not leave Finland anymore. His heart felt as if he finally found his home. 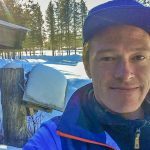 It wasn’t long before Andrew fell in love with Lappish winter, its beautiful nature and friendly people, and decided to pursue a degree in tourism. For the past seven years he has been sharing his passion for Finnish and Lappish culture with visitors who often comment on his happy-go-lucky nature and engaging personality. Easy walking, nordic skiing, snowshoeing, and snowmobiling.